Property managers have a ton of responsibilities, and we know that vetting commercial landscape maintenance companies can be an overwhelming process. So at the end of the day you really want to know, “Who’s the best in town?” Hiring a professional who performs high-quality work is important to your business — you put your neck on the line every time you hire a vendor because their work can make or break your reputation. We get it. 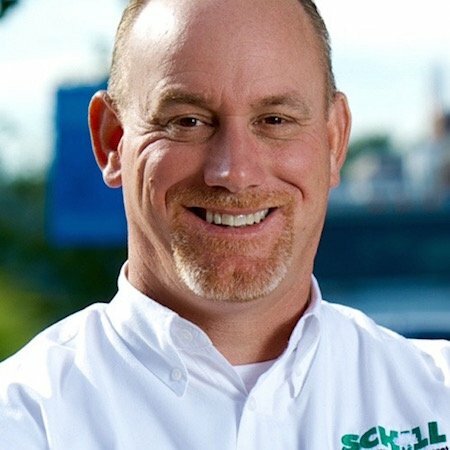 Here at Schill, we’re out working in Northern Ohio communities every day talking to commercial property managers like you, and you know we focus on being a go-to resource — someone you can trust to give you honest feedback. If you're on this site, you probably already know that we provide four season service for commercial properties via landscaping maintenance and snow removal. But we know that we can't service every customer looking for lawn care in Northeast Ohio. So, if for whatever reason you don't think we're a good fit, here are some companies that can help. But first things first: analyzing multiple bids from commercial landscaping companies is probably the biggest challenge property managers face when considering the best maintenence plans. It wouldn't be fair to you to set you on that path without any guidance. So whether you decide to work with Schill or a company listed below, be sure to check out this post on how to compare landscaping bids correctly first. 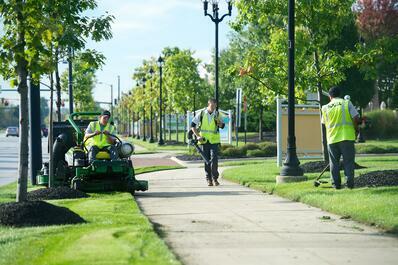 Commercial landscape maintenance firms that are making our industry look good deserve a pat on the back. Here are five of them in the area. This landscape company is based out of Columbia Station and does plenty of residential and construction work, but they also offer groundskeeping, plantscaping and hardscaping services for commercial properties, too. Green Impressions is a full-service landscape maintenance and design/build operation is based in Sheffield Village that focuses on residential properties only. Like Schill, Green Impressions also holds state and national credentials from organizations like the Ohio Landscape Association. Beginning in 1987 with a single mowing client, this company has expanded generously over the years. Today, the Louisville-based operation serves a range of commercial clients, offering maintenance, installation and snow services. 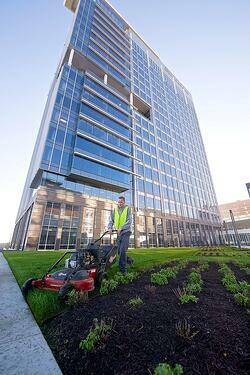 Similar to Schill’s commitment to sustainability, Enviroscapes embraces sustainable landscape practices. Founded in 1997, this family owned and operated landscape company based out of Bedford, Ohio, offers residential and commercial landscape services — maintenance, construction and snow removal — year round. They are fully licensed and insured. It’s always beneficial to work with a commercial landscaping company that can serve your property during all four seasons. Here at Schill, we know the day-to-day demands of a commercial site and that’s why we dedicate our landscape services to commercial properties only. Remember, when you are vetting a landscape maintenance firm to work on your Cleveland retail, commercial or multi-family home property, look for a company that is licensed and accredited by state and national associations. This way, you know you are working with a professional that meets or exceeds industry benchmarks for skill, quality and service. 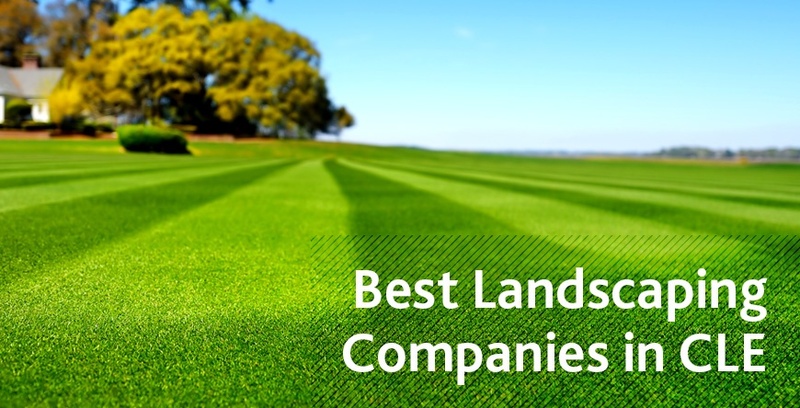 So, call us anytime if you have questions about selecting a commercial landscape maintenance firm, or anything else related to the care of your property. You can always reach us at 440.327.3030, or fill out this simple contact form and we’ll get in touch with you.